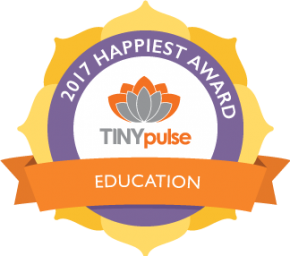 Many activities naturally lend themselves to aiding students to break down barriers. 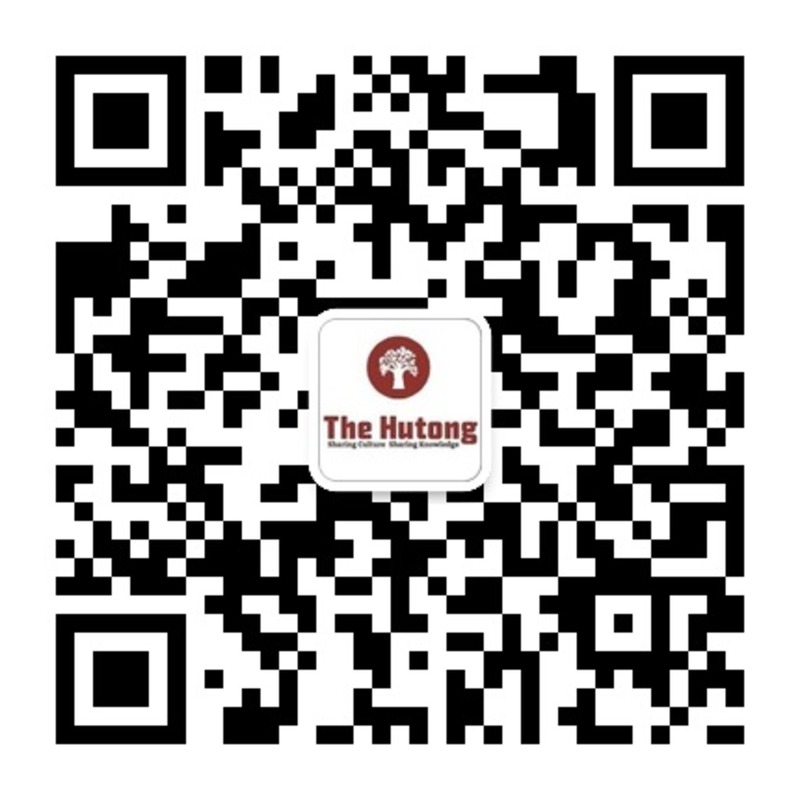 Hutong-designed activities will have students working in teams to complete challenges that will require them to utilize and practice their communication and teamwork skills. 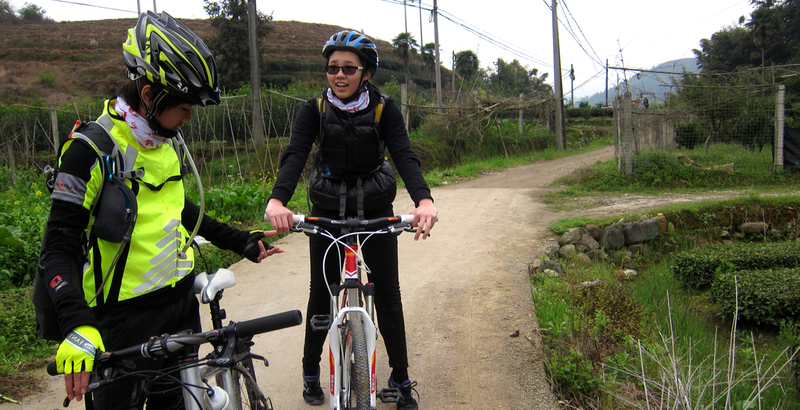 Our Hike ‘n’ Bike activities are very successful with students as they feel they are pushing their physical boundaries.Students will also discover traditional Fujianese cuisine and explore contemporary urban culture through an interactive photography workshop. 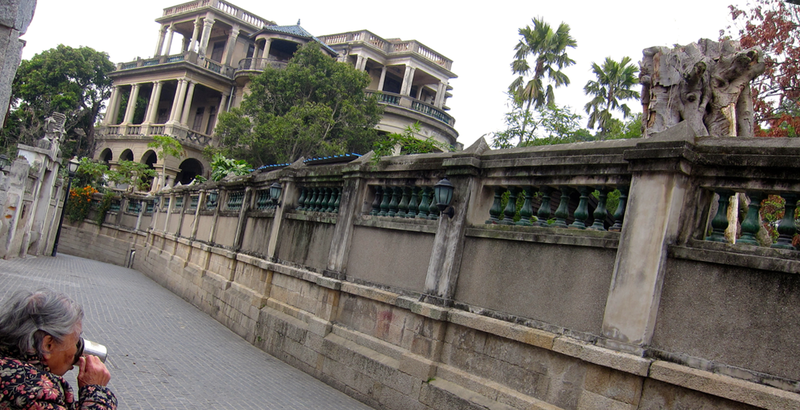 Xiamen – gateway to the mansion (China) has long been a gateway in for foreign traders and a gateway out for fortune-seeking Fujianese. The city offers rich landscapes to interactively explore the local, the colonial and the returning Overseas Chinese culture. 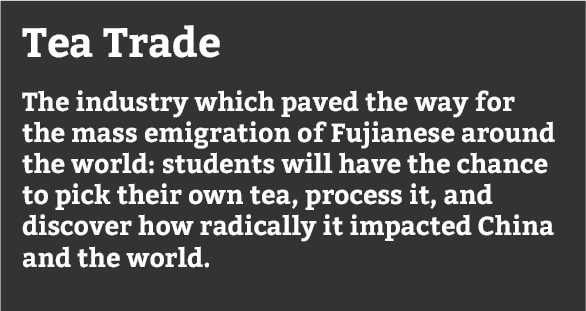 By bike and by hike, the students will scout the formerly fortified coastline, the hillside botanic gardens and the Nan Putuo temple hillside shrines, the beautiful Xiamen University campus – built by an overseas Chinese philanthropist – as well as the Overseas Chinese Museum. 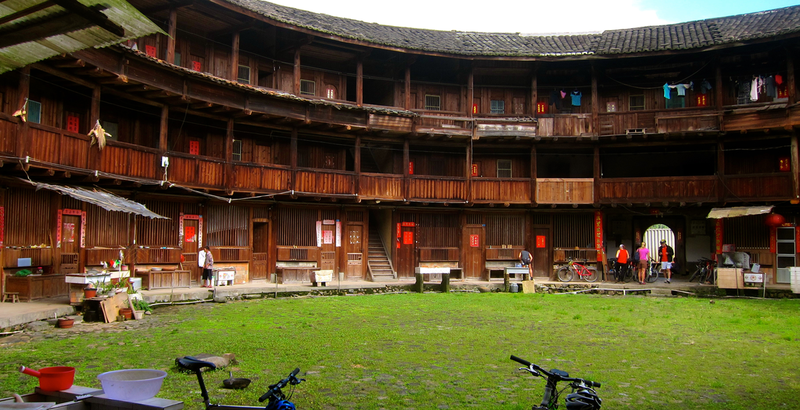 Heading out to the countryside, students will examine the rich history and architecture of the UNESCO-listed Nanjing Tulou roundhouses through biking, hiking, and home-staying in an authentic living Tulou. 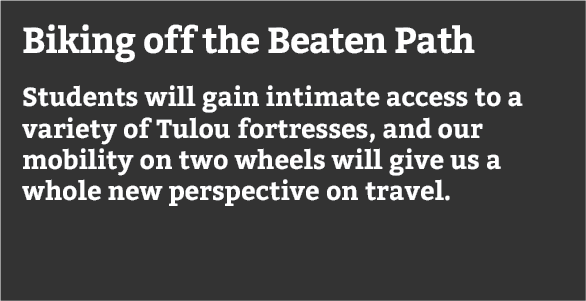 They will discover how and why the Hakka fortified themselves in these buildings, and assess how effectively these buildings under UNESCO and NGO processes, are now being protected. 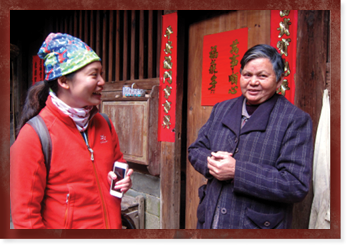 Born and raised in Zhangzhou, Liz is a proud Fujianese who loves the great outdoors and regularly organizes group hikes, bike rides and trips to explore the mountains surrounding her hometown. 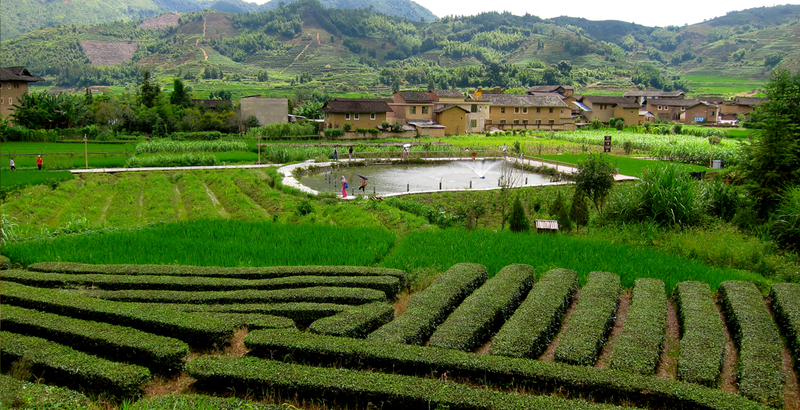 In true Fujian style, she enjoys the tea-drinking culture, slower pace of lifestyle, local cultural traditions and heritage preservation, and has the gift of being able to walk into any tulou home and instantly make friends over a hot cup of tea.